Social media has a great marketing power, and if used in the right way, it can drive you tons of sales. But that’s also the catch. Many marketers aren’t using social media in the right way, and are, therefore, not driving sales, or at least as many sales as they would like to. In fact, that’s probably the reason you are here. You might have built yourself a decent following, and tried everything to convince your audience, yet, few or none have bought from you. When you invest time into social media with the goal of selling more, you obviously want to reach your goal as well, and that’s exactly what I’ll teach you in this article. The foundation to selling products is by reaching more people. But that’s not all. You have to reach the right people, your target audience. It doesn’t matter how many people that are interested in fishing you reach if you sell race car equipment. You’re not reaching your target audience! 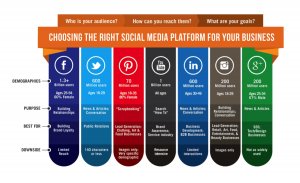 The first step to reaching your target audience is choosing a platform they’re active on. To do so, you first need to identify what people are your target audience and then choose a social platform based off of that. When choosing a platform, you also need to take your goal and content strategy into consideration. For example, if you find that your target audience is to be found on Youtube, but you have no plans in your content strategy to produce video, nor have any knowledge and skill in doing so, you have some thinking to do. To find out which people are using which platforms, take a look at the user demographics across the different platforms. When you’ve identified the platform(s) where your target audience spends the most time, you need to set up a plan for how you’re going to get their attention. Because as you probably know, simply setting up an account and sharing a few post and waiting simply won’t cut it. You need a strategy for how you’re going to get people’s attention. If you want to drive more sales or any sales at all for that matter, you need to think about the most important part: how people buy. The process of buying is extremely important if a person will buy from you or abandon their cart and never return. If the sales process takes a long time to complete, is hard to understand, and difficult to navigate, I can almost promise you that you’ll miss out on customers who otherwise would have bought from. The purchasing process should be simple, quick, and only demand a few steps. What’s even better is if you include a bar or similar to the page where users can see how much they’ve completed the checkout process. This will further encourage people to check out because they can know that they’re almost there. This step is crucial for driving sales through social media. Almost every one of the people who follow you on social media are doing so through their mobile device. It means that if you are going to drive sales with social media, almost 100% of the people who go to your website to purchase will be using their mobile device. 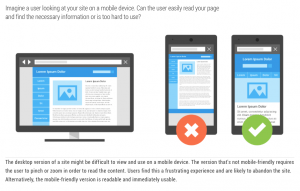 The problem, however, is if your website isn’t optimised for mobile. When visits come to your website, you need to make their experience as pleasant as possible, because it will have a great effect on whether they buy from you, or if they leave your website after a few seconds. While social media is powerful in generating leads and has the power to drive lots of awareness and potential customers, if you are trying to sell through your website but haven’t optimized your website for mobile, those leads won’t be worth a lot, because very few convert. When your website isn’t optimised for mobile, the website will essentially look exactly the same as the desktop version, the only difference is that things can get squeezed together, end up in awkward places, and become terribly difficult to navigate. As a bonus tip, it can be worth mentioning that over 50% of searches on Google are done with a mobile device. As a result, Google now looks if your website is optimized for mobile or not. If it is, they’ll reward you with better rankings. Another thing that has a great effect on whether your visitors convert or not is your website’s speed – its loading time. 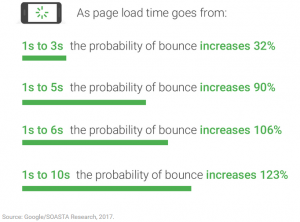 Loading time is probably the thing that has the biggest effect on whether a person that is eager to buy from your website actually buys, or if they leave your website after a few seconds. In fact, seconds can be the difference between a sale or a lost customer. Engaging with your audience and building strong relationships with them is an important part of driving sales on social media. In case you didn’t know, social media is one of the best tools, if not the best tools for building relationships with your audience, so use it! When you build relationships with your audience you build trust, and if your audience doesn’t trust you, they won’t buy from you! What’s more, by engaging with your audience regularly and often, you’ll also be able to make many of your followers more loyal to your brand. And greater loyalty means a greater chance of getting them to buy from you – and most importantly, getting them to buy from you over and over and, converting them to return customers. Therefore, put great emphasis on engaging with your audience, and take every chance you get to do so. This is a huge one, and many of you will probably have to flip your whole mindset around when it comes to selling on social media, but that’s fine because that means you’ll be able to do it the right way. The thing is, getting people to buy from you on social media is not about selling, selling, selling. In other words, sharing as many promotional posts as possible. The key to driving sales on social media is different. The first thing you need to understand is the reason that people are following brands on social media. Or, any account for that matter. If you ask 100 people, I can promise that none of them would say ”because I want to see ads and have brands shove them down my throat”. Instead, you need to try and understand the reason that people are using social media because that’s when you can start selling in a more effective way that actually appeals to your audience. The thing is, people are using social media for different reasons. But those reasons aren’t too different from each other. People use social media to get entertained, to see what their friends are up to, to get the latest news, to get information, to get knowledge, and to have a good time. Notice how seeing ads wasn’t a part of that list? The big problem is that marketers that are so eager on driving sales on social media are focusing on the wrong metrics. And as a result, they don’t drive a lot of sales on social media. If any. The thing is, direct sales are a bad metric to focus on when using social media. You need to realize that people don’t turn to social media because they are going to buy something. That’s just not the case. As a result, the approach for driving sales is a lot different. Since people don’t turn to social media to buy, you need to use another approach that still leads to sales. And that approach is providing your audience with value and engaging with them. First off, if you are going to stand on social media and blast your promotional messages, you’ll lose a lot of your followers. Come on, there are billions of pieces of content being put out every day on social media, and if you don’t share content that is worthwhile, fairly quickly people will go somewhere else. If you are going to succeed on social media, you need to have a value proposition, and that value proposition is your content. And this goes for both if you’re going to drive sales or not. If you don’t have a value proposition, you won’t attract an audience, nor will you drive any sales. Because after all, if you don’t have an audience, how can people buy from you? The approach you need to have on social media (apart from engaging and building strong relationships with your audience) is to provide your audience value. Value can be many things – from tips, knowledge, information, or coupons, but the idea with this is to give your audience tons of value without asking for anything in return. Because you’re going to leverage the human psychology reciprocity, which says that if we are given something, we feel obligated to return the favor. And here’s where the best part comes in. By providing your audience tons of value without asking for anything in return, more people will come to you. And when you finally have something to sell, people will buy from you as a way of returning the immense value you have given to them. Don’t use the traditional way of selling on social media because it just doesn’t work. If you do, you are doomed to fail, and you’ll just be wasting your efforts. Instead, take a more effective approach to selling on social media, an approach that actually works. Call to actions have proven to be extremely powerful in many aspects of business, but in many aspects outside of it as well. The principle is really simple, yet still, it works very well. What you are going to do is simply tell your audience what you want them to do. If you ’re trying to talk in riddles and don’t actually say what you want your audience to do, all you’ll end up doing is confusing your audience big time. Be clear about what you want your audience to do, because that way, people will actually be able to understand what you mean. However, there’s a big ”but”. If you are going to use a call to action where you ask your audience to buy from you, you need to have provided them with tons of value before, over a long period of time. You cannot simply expect to post one post on social media and say that you’ve provided them with value, because really, millions and millions of people are sharing posts on social media every day, and I hate to break it to you, but it’s not like you’re unique in any way on social media when it comes to sharing content. When you are selling, you have to be clear to your audience what it is you are selling, and how they can buy from you. This of course also means how they can buy from you through mobile. People can’t possibly know what you want before actually telling them, right? It’s like breeding a dog when it’s young. It can’t possibly know how it should behave, but when you’ve taught it, it will know exactly what to do. With CTAs, you teach your audience. Customer reviews are tremendously powerful in driving sales on social media. And if you ask why, it’s because people trust other people. Because people know that businesses have one goal and one goal only: to sell more. As a result, everything the brand says has to be taken wit ha large pinch of salt because they just want to leverage everything to their advantage. This is where customer reviews come in handy. According to Pew Research Center, 40% of U.S. adult consumers say they always or almost always read online customer reviews before making purchases. It’s clear that customers are incorporating customer reviews into their purchase decisions, and that reviews are an important part of the purchase process. Therefore, you need to make it a part of your marketing! What your customer wants, you should give! Chances are, people are talking about your brand on social media and leaving reviews about you whether you know it or not. The problem is that you aren’t listening. Of course, you can also encourage your customers to leave reviews by giving them a small gift, or simply asking for it! The important part is that you ask them for a review. Many people will be more than happy to tell you about their experience. Social media is probably the place where people are talking most about your brand, so start listening! What’s more, you also want to come up with fun and clever ways to incorporate the reviews you collect and receive in a fun and engaging way. The foundation of user-generated content is quite similar to customer reviews, at least the benefit of it, however, there are a few key differences between user-generated content and customer reviews. Normally, customer reviews are done in the form of the written word. When it comes to user-generated content on social media, however, we are talking more about photo and video. When you are working to sell more with social media marketing, user-generated content should be a natural part of your content strategy. On social, it can be difficult to share customer reviews in the form of text, unless you’re quoting your customer on Twitter, or, creating an image where you add what your customer said. The good thing about UGC is that it holds a lot more trust and marketing power than professionally created content – which is understandable because it’s not created by a brand with an agenda. According to Business Insider, consumers who come across UGC are 97% more likely to convert than those who don’t. What’s more, when online shoppers were asked to choose between professional images on product description pages, or user-generated content (UGC), the overwhelming preference was for UGC photos 77% compared to 22%. People trust UGC a lot more than professionally created content, so why not use it? The best part is that UGC content is so simple to share, while at the same time holds a lot of marketing power. Just like encouraging customer reviews, there are different methods to go about encouraging UGC. A simple idea is to give a small gift or reward to the people sharing it. It is also common that brands arrange contest and giveaways where the rules of entry are that you should share a piece of UGC open social media. Your target audience consists of the people who are most likely to buy from you. Therefore, you need to be sharing content that they actually care about, and that’ll grab their attention in the saturated world of social media. Moreover, you also need to share content that brings them value. What content that is, I cannot tell you, however, your social media strategy should give you a great hint to what type of content we’re talking about. The more you get to know your audience, the better you’ll be able to serve your audience content that they care about. How does this help you drive more sales on social media, you may ask? Well, first off, in order to be able to sell on social media, you need to have an audience. And if you don’t have any content, you’ll never attract one. It’s also important that your content is high-quality and relevant to your target audience. If your content is crap, why would people want to follow you? After all, the main reason that people decide to follow someone on social media is that they want to see their posts. Thirdly, it is in your content that your value proposition lies. 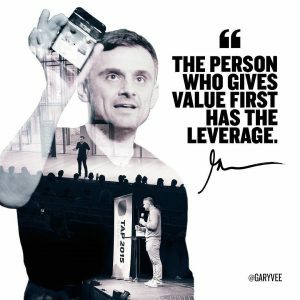 With your content, you are going to provide your audience value to the point where you have the leverage. But if you share low-quality content or just content that isn’t relevant to your target audience, you won’t really have a value proposition, will you? The more relevant your content is to your target audience, the more people from your target audience you’ll attract. And when you attract people from your target audience, they’ll be much more likely to buy from you. Contests are a well-known way to boost sales, increase followers and gain more traction on social media. The good thing about contests is that it is yet another way for your brand to provide your audience with value. If you give away a physical product, you are literally giving away value, something that will allow you to ask to sell to your audience later on. 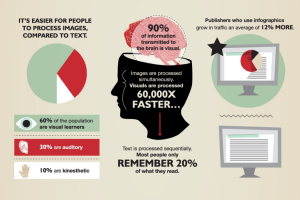 Visual content has an immense marketing power -, especially on social media. When looking to drive sales, this is obviously something you want to take advantage of. 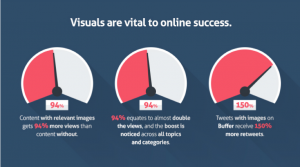 The bottom line is that you need to put great emphasise on creating amazing, high-quality visuals on social media if you want to drive sales. Not only do you need to provide visuals, but you need to create attention, grabbing, incredible visuals that grabs your audience’s attention. After all, over 95 million photos are shared on Instagram daily. That’s only on Instagram. It is difficult to stand out from the noise to say the least. That’s why you can never compromise on the quality of the content you share. Whether you know it or not, people are probably talking about your brand on social media. Just like how I said that people are most likely leaving reviews on social media, there are also other things that are going on than reviews. People are discussing things about your brand, people are discussing things in your industry, and so on. Either way, taking part in the conversations that are talking about your brand or about your industry is tremendously beneficial for brands. A study found that 74% of buyers choose the sales rep who first adds value during the buying process. This means that by taking part in the conversations that your target audience is having, you can contribute to the conversation, share your expertise and knowledge. 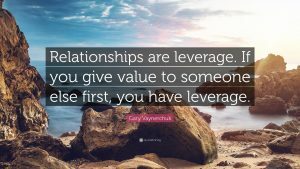 This means that you bring value to the conversation, and you remember what I said about bringing value to your prospects? Doing so means that they are likely to convert and become customers of you. Not only do you increase the chances of people becoming customers when you bring value to the conversations, taking part of the conversations that are happening also means an opportunity for you to build relationships with your audience. And relationships lead to increased trusts, which in turn leads to more sales. See how it’s all connected with engaging with your audience on social media? When talking about selling products on social media, we cannot ignore customer service. Because no matter if you are selling on social media, face-to-face, or on any other place, how you treat your customers is crucial and has a huge effect on if they buy from you, and secondly, if they become returning customers. Today, more and more people have social media as their preferred source for connecting with brands when it comes to customer service, and more and more people are hopping off the more traditional way of getting customer service, for example through phone or email. Well, it’s obvious, really. It is quicker, less time-consuming, less painful, plus, if they’re already on social media, how difficult is it to just send a message to a brand? Now that more people are turning to socoal media for customer service, what should you do? You should be there for them, of course, and be ready to respond, engage, and solve their problems whenever they contact you. Research from the Institute of Customer Service reveals 1 in every 3 customers turns to social media to seek advice or communicate with a business. That’s a lot of people. So what you need to do is have the resources necessary to deal with your customer complaints and customer service question. Because on social media, time is crucial. 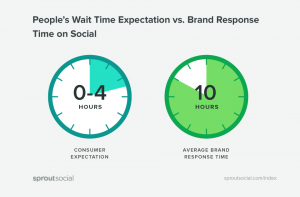 In fact, a study by SproutSocial has found that most people expect a response within 4 hours on social media, but the problem is that most brands respond within 10 hours. And if you don’t give your audience that, there’s a risk that they’ll go somewhere else. Possibly your competitors. And if that happens, you’ve lost a customer forever. The best part about customer service on social media can increase your sales. Quite significantly if you put great effort into it. I think it’s extremely interesting with customer service, because it has such a huge effect on your brand, how people perceive it. And you should think it is interesting too, because it has a tremendous on your sales. What makes it even more interesting is that social media adds a completely new dimension to customer service. Did you know that 78% of consumers have bailed on a transaction or not made an intended purchase because of a poor service experience. On social media, people are talking about your brand, and if you just take the time to listen, you can learn quite a lot, and get access to greatly important feedback that can help you improve. Because the thing is, for every customer who bothers to complain, 26 other customers remain silent. This means that if one person complaints on social media, there are a lot more people that remain silent. And what’s most bother for brands is that most people don’t say anything before they leave. They just stop buying from you. But with the help of social listening and great customer service, you can identify the issues your customers are facing, solve them, and as a result increase your retention rate, which also means increasing your sales. When you receive customer complaints on social media, which you will do, it is important that you have a plan for how you’re going to deal with it in the best possible way. Reason? 91% of unhappy customers will not willingly do business with you again. This means that if you give bad customer service to someone who complaints – or even someone who doesn’t complain, you’ll lose almost everyone of them as customers, and therefore lose sales. But on the contrary, if you resolve a complaint in the customer’s favor and they will do business with you again 70% of the time! In other words, by providing excellent service to disgruntled customers, you can convert them into happy and loyal customers, and thus also increase your sales in the long haul. This is because on average, loyal customers are worth up to 10 times as much as their first purchase. Social media allows you to interact with your audience and quickly identify any problem you might have, as well as try to help people who need customer service. Most brands are so caught up in the idea that the only way to increase sales is to get new customers, but as you can see o the statisic above, that is abolsutely not the case! What’s more, it is 6-7 times more expensive to acquire a new customer than it is to keep a current one, so if you just use social media to keep your current customers happy, and increase your retention rate, you can increase your sales significantly. Sales are known to boost sales dramatically, and that’s also the reason why 30 percent of annual retail sales occur between Black Friday and Christmas. And black friday, as you know, is the time when the sales are taking place for real, with deals as high as 70%, 80% or even 90% off! When arranging sales, you need to be a bit careful, though. If you re constantly having sales, there’s a great risk that people won’t buy from you the times when you don’t have sales, because they know that if they wait, things will be cheaper because you’ll soon arrange a sale again. The good news, however, is that social media is a great place for arranging sales. By having sales, you can convince the people who are hesitant on buying from you, as well as play on human’s psychology and create a sense of urgency. In case you didn’t know, influencer marketing is tremendously effective. If you’re new to social media influencer marketing, it is the use of influencers with large followings and an engage audience that look up to them, and turn to them for purchase decisions and tips, on social media. 86 percent of women turn to social media outlets for opinions and advice on what to buy. As you can see, it is safe to say that influencer marketing, if done correctly can have a huge impact on sales on social media. And the best part is that influencer campaigns can be set up with relatively small marketing budgets. 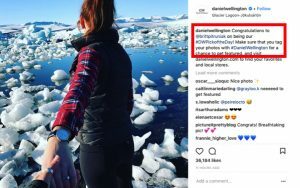 For brands with a small budget, micro-influencer campaigns can be done, which means that you partner with influencers on social media that have a smaller following that the large influencers, but they generally have a more engaged and targeted following, which means they’re able to genrate a high ROI at a low cost. Social media has a tremendous marketing power for brands. It has the power to increase brand awareness, improve your customer relationships, boost sales and much more. But the key to generating great marketing results with social media is knowing how to use it properly and for optimal results. A screwdriver is a great tool, but if you haven’t charged the battery, it won’t help you a lot will it? Which of these are are your favorite tactics? Which are you already using and which are you planning to add to your strategy?